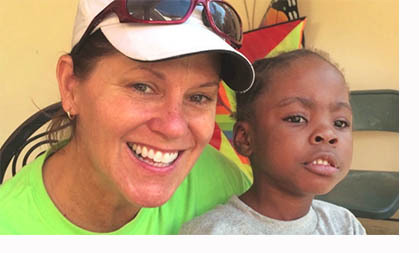 Listen as Ginna tells about her experience on the Lebanon First United Methodist Church mission trip to Haiti. 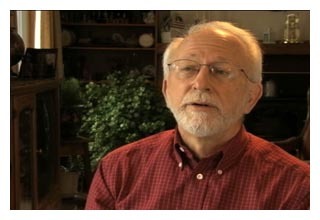 Our thanks to Eric Adams and the students in the high school class that he teaches for editing this video and sending it to us to use for a MissionCast. 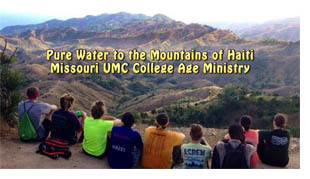 Missouri United Methodist Church’s two previous college age ministry teams to Haiti had installed pure water filters in the plains of Haiti. A part of this third team was asked to take pure water to the mountains. View their trials and triumphs. Early every Monday morning we send an announcement about the content of the weekly MissionCast and information about future MissionCasts. If you would like to receive the weekly MissionCast content announcement go to the Missouri Conference website by clicking on the link below and then select â€œStay Connectedâ€ in the left hand column. The Gathering United Methodist Church each year gives Â½ of their Christmas offering to the Mozambique Initiative Safe Water Project. This year they are urging members of their congregation to spend less and give more. Together with other churches in Missouri 21 wells have been drilled in the past 3 years. We are thankful to the Gathering United Methodist Church for this dynamic video they prepared to promote safe water in Mozambique. You and your congregation may give to this project by sending a part of your Christmas offering or an offering later in the year to the Missouri Conference, 3601 Amron Court, Columbia, MO 65202. Designate your gift for the Mozambique Imitative, Safe Water Project. For more information you may contact Sarah Bollinger, who is a worship leader at the Gathering and who is the Coordinator of our Missouri Conference Mozambique Initiative. Email her at sbollinger@moumethodist.org. Rev. 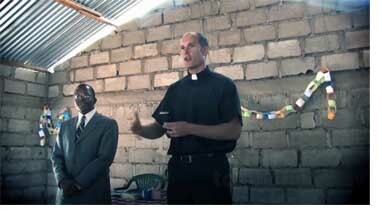 Jim Gulley, General Board of Global Ministries staff member, was trapped for days in the collapsed Montana Hotel in Haiti.Â He recently returned to Haiti and shared some of his feelings and experience.Â He urges us to continue to support the Haitians with our prayers, gifts and service. There is a great need for pure water in Haiti.Â You may send your gifts for purchasing Hydraid Pure Water Filters for Haiti to the Office of Creative Ministries.Â (3009 David Drive, Columbia, MOÂ 65202)Â Your gift of $35 will provide a family with pure water for ten years.Â Click here to view our MissionCast where Office of Creative Ministries, staff member, Jeff Baker tells about the Hydraid Water Filtering System. Also check out the list of MissionCasts at the left listed by category and by date. Instructions for downloading videos to your computer:Â Right click on one of the links above and select â€œsave link asâ€ or â€œsave file asâ€ then tell your computer where you want to save the file and click OK.
Grace Children’s Hospital, located in Port-au-Prince, Haiti, was destroyed in the earthquake.Â Â The children’s beds have been moved outside because the buildings are crumbling and unsafe.Â UMTV taped this video about the state of the hospital and the great human need in the area.Â Medical volunteers from the United States are helping the hospital’s personnel. Grace Children’s Hospital is one of our United Methodist supported projects.Â Donations for the hospital may be given through your local church using Advance Special #418520. We are thankful to UMTV (United Methodist Communications) for the use of this video.Â Funds from the World Service Apportionments make this video possible.